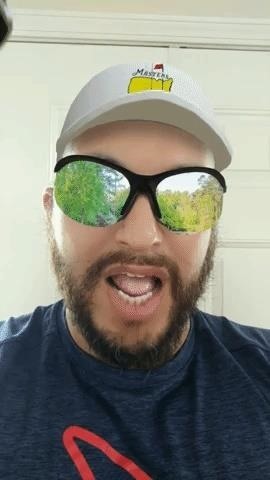 With the Masters, one of professional golfing's four most prestigious annual tournaments, now in full swing, Snapchat is giving users the ability to commemorate the moment in augmented reality. 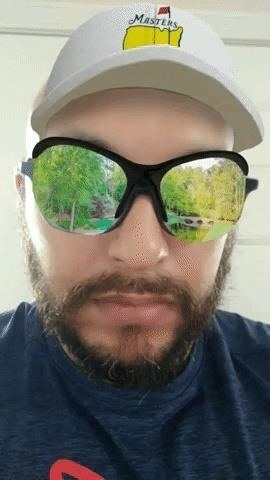 A new Lens in the Snapchat camera carousel places a white visor with the Masters logo and a pair of mirrored sunglasses on the user's face. And when a Snapchat user opens their mouth while using the Lens, a golf club swings across the screen and sends a golf ball flying off screen. All the while, the distinctive piano theme of the tournament plays in the background. 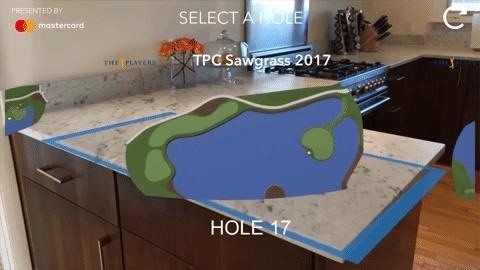 The experience doubles as a portal of sorts, as the reflection in the virtual sunglasses provides a realistic view of the famous 11th hole (aka Amen Corner) at Augusta National Golf Club (as USA Today FTW points out). According to a Snap spokesperson, Snapchat partnered with August National to create the Lens with their trademarks. In addition to the Lens, The Masters will enjoy featured Our Story coverage in the Discover section of the app. Now, with Tiger Woods, the sport's biggest name, on the comeback trail and giving the PGA a boost in ratings, Snap's golf Lens could offer another unique opportunity to reel in a younger generation of viewers.